HAS AKSHAY DUBBED IN TAMIL FOR 2.0? 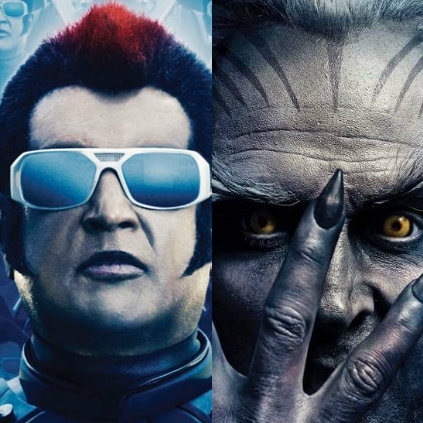 2.0, starring Rajinikanth and Akshay Kumar, is one of the most anticipated films of the year. It is being made at a massive budget with a huge star cast and international collaborations for the technical part of the movie which has used cutting-edge technology and state-of-the-art VFX. The recent news that we hear from a source close to the unit is that Akshay Kumar has dubbed in his voice for the Tamil version. Since the character has dialogues in English, the director wanted Akshay to lend his voice. But, it is unclear if Shankar would retain Akshay's voice, or he would bring another dubbing artist to helm Akshay's dialogues. Only an official confirmation from the team has to clarify on this. People looking for online information on 20, Akshay Kumar, Rajinikanth, Shankar, Superstar will find this news story useful.